Thank you for your interest in Wendel Family Dental Centre, and welcome to our website. We provide professional quality dental care at any of our 3 dental offices located in Central Vancouver, East Vancouver near Camas and Salmon Creek . Each one a friendly and comfortable environment. 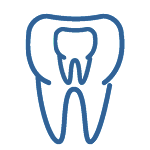 We hope the information provided in this website answers many of your questions about general dental care as well as our dental practice. If you need additional information, please do not hesitate to contact us about our dental services. 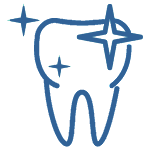 We encourage you to involve yourself in your own dental treatment and to ask many questions. 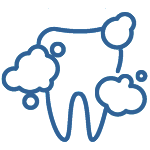 Gum disease is a serious issue that affects more than sixty-four million people in the United States. It can be treated with a deep cleaning treatment, which removes build-up such as calculus, debris and bacteria that is present under the gums. Wendel Family Dental Centre offers a family-friendly environment where adults and children can put their fears of visiting the dentist to rest and enjoy truly great care. A broken tooth does not need to mean a broken smile. 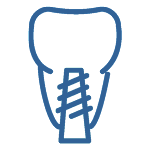 Wendel Dental has several available treatments to fix a chipped or broken tooth including, but not limited to, a dental implant. Wendel Dental offers industry leading teeth whitening to bring back the sheen of your pearly whites. Teeth whitening combats staining caused from food & drink, tobacco, and age. Some of the procedures and treatments that Wendel Dental provides.